← What Are the Marks of the Ministry Gift of Teaching? This past Sunday at Cornerstone, we began a series for the month September around the theme of forgiveness. I started out with the obvious one – God’s forgiveness of us. And I jumped into a passage I love, looking at 1 John 1:1-2:2. It’s quite amazing to know that God is not only faithful, but also completely righteous to forgive us through the blood of Jesus. Yes, that’s what it says – faithful AND righteous. But what does it mean that he is righteous to forgive us? If God were to not forgive those who are in Christ, those who have believed upon his work at the cross, then he would move into being identifiable as un-righteous. Either Christ is the sacrifice or we are. Either Christ is the payment or we are. It cannot and shall not ever be both. For God to punish Christ on our behalf, and for us to appropriate that work in our lives by our faith in Christ’s work, then it means we are fully absolved of any payment and punishment. Hence why if God made us also pay, in any way, he would be unrighteous. The rightness and goodness of God has been satisfied in cross of Jesus (1 John 1:9). And speaking of satisfied, there is another well known verse just a few statements later: He is the atoning sacrifice for our sins, and not only for ours but also for the sins of the whole world. Some other versions utilise the mammoth theological word propitiation. And while all of these terms are possibly helpful, even the phrase atoning sacrifice taking us back into the old Hebrew Scriptures and the blood of the sacrifices being sprinkled upon the altar, I believe there is one word that is most profitable in understanding what John is getting at in his letter. 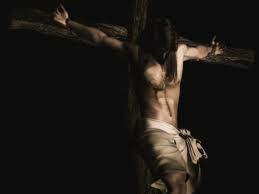 He is the satisfaction for our sins, and not only for ours but also for the sins of the whole world. Scott, I’m satisfied with you…because I’m satisfied with my Son. That does something deep in my heart, deep in our hearts, to hear this good pronouncement from our good Father that we satisfy him. Christ made things right, reconciled us to the Father. And we can see the smiling satisfaction of our Father who loved us from the beginning. We can delight in his satisfaction, which then leads us to be satisfied wholly in God. He is faithful and right to forgive us. He is satisfied with us. If you would like to hear a bit more from my teaching this past Sunday, you can click on the icon below or check it out at iTunes. This entry was tagged 1 John, audio, forgiveness, sermons. Bookmark the permalink. While I love the way your brought that particular part of the verse out, I marvel at the second half of that same verse. It says quite clearly (fancy word games aside) that God not only was satisfied with “us”, meaning, the church, the body of believers whom John was writing to, but that he is satisfied with the price paid for the sins of EVERYONE, believer or not. In other words, the satisfaction has been met for sin, whether you believe it or not. Sin (or a lack thereof) is no longer the issue in deciding our fate at judgement, for sin has been paid for. It’s not sin, but the act of excluding yourself (through blatant disbelief) from the saved by in affect choosing to represent yourself on judgement day rather than having Christ as your advocate and redeemer. I like to think of it as this. ALL our saved from sin, but you can “opt out” of the group by declaring your own righteousness as “good enough” on judgement day, rather then relying on the righteousness of Christ. Unfortunately, nobody’s righteousness save Christ will be enough to satisfy God on judgement day.